Michael has been a part of Ace Accounting Services since its inception in 2010. Michael has over 13 years of experience in taxation. 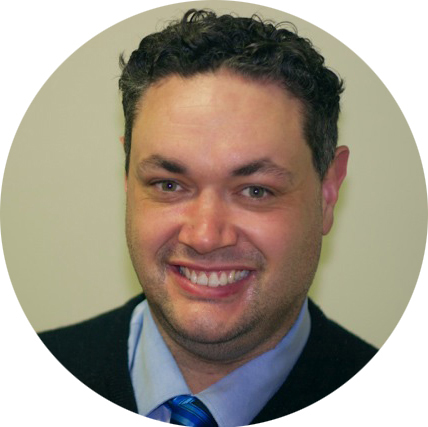 He has been involved in public practice for over 9 of those years dealing with a wide range of clients from many different industries and specialises in offering consulting and mentor services to family owned and operated business such as Ace Accounting. Coming from a rural background Michael has a special understanding of the needs of regional businesses, particularly those engaged in primary production. For many years, Michael has been the driving force behind Ace Accounting Services which has seen him represent our firm in locations such as Sydney, Melbourne, Bourke, Brisbane and Singapore. Daniel began as a senior tax accountant with Ace Accounting in 2010. He has over 10 years’ experience in taxation, accounting and compliance. He has developed business relationships with different firms throughout Sydney and worked for a large construction company in the UK whilst studying his degree. Once moving back from the UK Daniel joined Ace Accounting Services and become a partner in 2012. His client base consists mainly of small to medium size enterprises, professionals and investors. 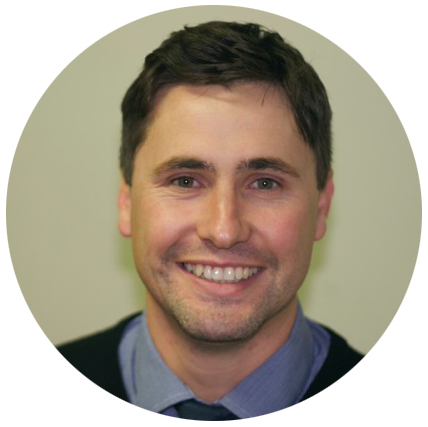 Daniel has a keen interest in tax compliance, small business, business structuring and primary production. He also understands the struggles of managing a business, and likes to help his clients meet these challenges. Because of his work history, working for both large corporations and small businesses he believes that clients look for more than having their compliance matters attended to. They look for assistance, advice and constructive opinions. It is in these areas that he believes he adds value to the services provided by the firm. Tim helped start the firm with his brother Michael in 2010, and has been involved with Ace Accounting Services since then. Tim has a very strong commercial background including ten years in a multinational company as well as a thorough understanding of all tax matters being a registered tax agent himself. Tim brings with him an extremely well developed commercial acumen with an ability to delve beyond the financials to deliver real value to both individuals and businesses. He has a track record of delivering significant bottom line improvements and often without needing to spend money to do it. He has an abundance of management accounting capability and is well versed at understanding the many aspects of business. He prides himself on being able to deliver commercial value to all clients with an easy to understand manner. Tim enjoys working with businesses and individuals alike, and guiding them past the numbers so as to have a total financial solution. He knows that having control of the business numbers is important for small business owners, but spending their own time doing them doesn’t add any value. He talks to clients in a way that is different from many other accountants with a common sense approach that focuses on Ace Accounting being more than just numbers and compliance. Scott joined Ace Accounting Services in 2017 after working for previous accounting firms in the Central West. Scott has been an outstanding addition to the team, and has a very hands on attitude towards taxation, Xero and clientele. Sarah joined the business in 2017 and within a very short space of time showed an amazing level of organisation, professionalism and enthusiasm. With Sarah adding so much to the businesses efficiency and demonstrating her keen application of the company’s core values she was quickly drafted as the company’s next office manager. We are very excited to have Sarah as part of the Ace Accounting team. Kahlia is our friendly, supportive and welcoming office administrator. Kahlia begun working with the firm in 2017 and has brought amazing enthusiasm, professionalism and attention to detail. Kahlia is responsible for the efficient operation and management of our office, in particular administration, accounts, and developing and managing our office procedures. Kahlia aims to help all clients at our firm by offering them exemplary service with a welcoming and professional demeanor. We insist on providing our clients with the greatest level of customer service. To help us achieve this it is important that clients work with us in adhering to all relevant legislation. We undertake to provide services to the best of our abilities, whilst staying within the boundaries of legal and accounting frameworks and inspiring trust. It is our aim at Ace Accounting to provide services of the highest quality to each client, and aim to exceed their past experiences and expectations. We will work closely with you to gain an understanding what you require, and aim to improve your previous expectations by continually aiming to meet you and your business’s objectives. We understand that not every client is a number, and each client has different circumstances, our firm is one of the leading firms in the area. By acknowledging that each customer is different and has different needs we ain to combine our expertise, experience and the energy of our staff so that each client receives close personal and professional attention. Our high standards, service and specialised staff spell the difference between our outstanding performance, and other firms. We make sure that every client is served by the expertise of our whole firm in a language that is easy to understand and tailored around each type of client. We strive to support the communities in which we live, work and play with our collective human and financial resources. Our firm understands that there is a need to give back to the communities in which we live. Many of our staff are actively involved in fund raising activities, local sporting groups, and social groups which help to promote the community of Orange and its surrounds. We feel by doing this it is a key component of what has led to many clients from Sydney finding our firm so attractive. We help our clients achieve their goals by providing outstanding consultation, understanding and the highest quality accounting., business advisory, tax, and related professional services. We understand that clients do not want to be treated as another number, and there needs to be personal attention to every client to ensure our shared success. We provide excellent customer service while promoting a dynamic work environment, underpinned by constant learning, opportunities for promotion, and a sustainable work life balance. This is rewarding professionally and personally for all our clients and employees. Honesty and Integrity – Meeting professional responsibilities in an ethical and fair manner. Quality – Provide services of the highest quality to each client, and aim to exceed their past experiences and expectations. Professionalism & Knowledge – Ensure that all members of the ACE organization are continually learning, growing and maintaining their knowledge to relevant standards prescribed by such bodies as the Australian Taxation Office, CPA Australia, the Taxation Institute, ASIC and any other relevant bodies. Community – Supporting the communities in which we work, live and play with our collective human and financial resources. Our fast growing accounting firm is looking for a dedicated intermediate accountant to join our expanding team. Our new service offering and quality practice has resulted in us having experienced high growth, and we are now able to appoint a full time experienced accountant. It is highly desirable that you are able to demonstrate a solid understanding and experience of Xero software. Bookkeeping experience in a professional public practice environment. 1-2+ years experience with a bookkeeping program, preferably Xero. Experienced in tax compliance and quarterly tax planning for all entities. A knowledge of the Australian Taxation System and experience using a tax program such as ‘HandiTax’ would also be an advantage. We offer ongoing professional development and advanced skill training specific to our staff requirements. Your duties will involve bank statement and GL reconciliations, preparation of business activity statements and the preparation of Income Tax Returns and Financial Statements for a variety of entities, including individuals, partnerships, companies and trusts. Tertiary qualifications and/or other formal training will be highly desirable. This position would suit someone with an experience in public practice with a desire to advance their career.